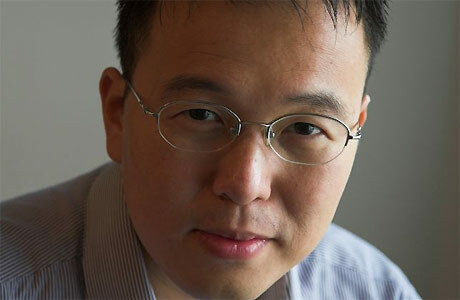 Tan Twan Eng is a Malaysian writer of Chinese origin who shares his time between the island of Penang where he was born and South Africa where he lives. We mentioned a few years ago, his first book, “A Gift of Rain,” which is unfortunately not translated into French. This book was included in the long list of the Booker prize, (the English Goncourt). His second novel, very successful, “The Garden of Evening Mists” (1), is one of the six on the short list for this prize. The heroine, Yun Ling, a “Straits Chinese”, is during the occupation of Malaya by the Japanese during the Second World War, prisoner in a labor camp with her sister who is “at the service” of Japanese officers and who will not survive. Yun Ling, the only survivor of the camp, meets again in Cameron Highlands ( a mountain resort in Malaysia where they grow tea), friends of her parents and their Japanese neighbour, a former gardener of the Imperial Court. Ling Yun asked him to create a garden in memory of her sister who was fascinated by these works of art. Aritomo refuses but agrees to take Yun Ling as an apprentice for her to lay out a garden in the future. Successive episodes, flashbacks highly controlled between the Japanese camp and Cameron Highlands and Aritomo and finally the recent period (around 1986) where Yun Ling, Judge of the Supreme Court, is taking early retirement. She wants to write her story and that of her sister before a neurological disease does deprive her of her memory and ability, after the death of Aritomo to restore the garden “Evening Mists” to its former magnificence. Articles about this book, published ten months ago, call it usually a fiction. This is not the case for the historic environment which is perfectly described but it shows the ignorance especially in Europe concerning the history of the Second World War in Asia and the development of Malaysia. Japan invaded Malaya at the time of Pearl Harbour (December 1941), English officials and the military withdrew to Singapore considered impregnable. 30 000 Japanese under General Yamashita forced 85,000 military to surrender on February 15, 1942. Quickly the Chinese underground groups, some of which led by the Communist Chin Peng are supported by the British Special Forces (Force 136). After the end of the war, these groups turned against the English who, as a first move, wanted to restore the colonial order. The attitude of the Malay population, little involved, is quite a sensitive issue, but it is surprising that Malays simply do not exist in the book by Tan; only one of them, Hamid, during a party makes simplistic statements on the role of the “bumiputeras” the son of the earth, whom he opposes to the Chinese and to the very anglicized “Straits Chinese”. After the war, Yu Ling, with the war crimes tribunal, tries to find out the location of the camp where her sister died and continues to hate the Japanese torturers; a hundred of them will be hanged. It should also be noted that the peace treaty with Japan, under the pressure from the Americans and the English, does not allow the victims of the Japanese, unlike those of the Nazi, to seek compensation. Cameron Highlands was developed with growing and processing tea and as a hill resort for British officials, but the underground Chinese group maintain insecurity and the killings affect some of our characters. Massive transfers of population, the creation of “new villages” leads to isolate and starve the underground. This is a rare case in the history of a military victory against a communist uprising. Aritomo is known for its creative talents of the “borrowed landscape”, ie how to integrate in the garden the landscape at the background. The garden is a symbol of our souls and the “borrowed landscape” are basically our personal history. Construction is elaborate with flashbacks and characters that we meet at different times but it is very skillfully organized and easy to follow. We are kept spellbound. Secrets and mysteries of the main actors are only gradually revealed. But the tone is deliberately a bit dull and devoid of overflows of emotions. This is far from a “thriller” or a historical novel and one sometimes feels the influence of one of his favorite writers, the Anglo-Japanese Kazuo Ishiguro and his wonderful book “An artist of the floating World “(1986). Tan also knows how to create a climate, how to come with various descriptions, images and symbols (the heron, butterflies …). Some passages are as beautiful as the landscapes of Cameron Highlands, the jungle and the tea plantations. Perhaps more than in his previous book, the author is embarrassed because many of his readers are unfamiliar with the area and its history, so he should provide a frame, references. Sometimes there is a plethora of materials: that he has to describe the myth of Chang Er is understandable but three pages are a heavy burden. Similarly, the abundance of names: Malay, Japanese and Boer can confuse the reader who may be also embarrassed by the number of cultural themes, some of which (Aritomo and archery) are not really useful to the progress of the novel. Yun Ling is a very interesting character, one is sometimes surprised by her coldness. She is not really alive because one cannot recover from a Japanese camp. We’re a little surprised that her romantic relationship with Aritomo is hardly analyzed. But the theme of memory, forgiveness or lack of it is remarkably handled. Aritomo never apologizes for anything done by the Japanese, but also she cannot forgive and as him she struggles to maintain her integrity and her identity, for him in the imperial palace,for her in a prison camp; their fate will not allow them to escape it. 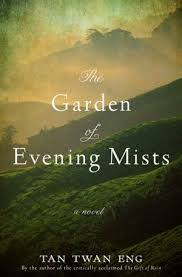 (1) Tan Twan Eng, “The Garden of Evening Mists,” Myrmidon 2012, Weinstein Books, September 2012. (2) Japanese or Chinese gardens are a fascinating subject. We may refer to Gunther Nitschke “The Japanese Garden”, Taschen 1999. A beautiful book “The art of gardens in China” was published in 2010 by Les Editions du Rouergue with superb photographs by Iris L. Sullivan and a text by Laurent Colson; he runs the Gallery Luohan, quai Malaquais in Paris and well before the Guimet museum he has presented a beautiful exhibition on Scholar Rocks.